My Blaming & Damning Defeats My Coping! Blame is not a form of acceptance. Damning is not a form of acceptance. Blaming and damning are coping problems. 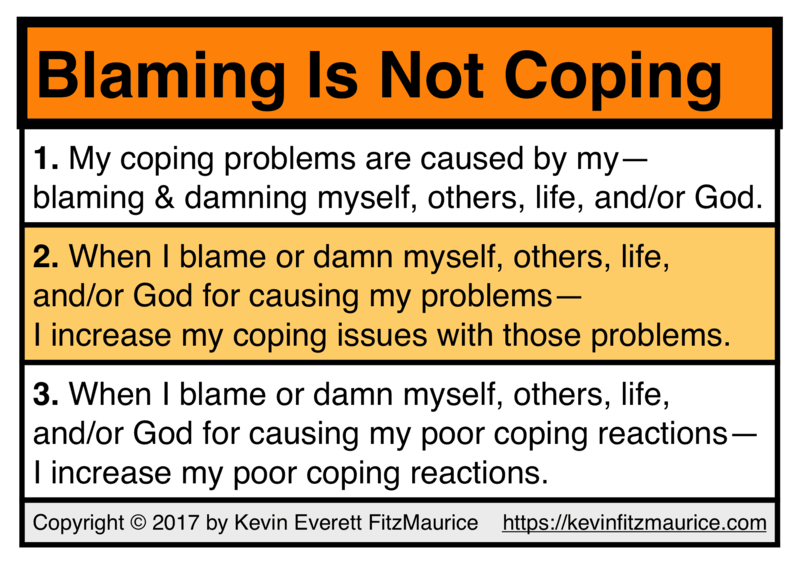 Blaming and damning can only increase coping problems, not solve them. Blaming and damning create, increase, and spread problems, not fix them. If you need to say “no” to something, then study negation, not damning.